Strange flavoured KitKats were one of the strange foods I had heard of before arriving in Japan. 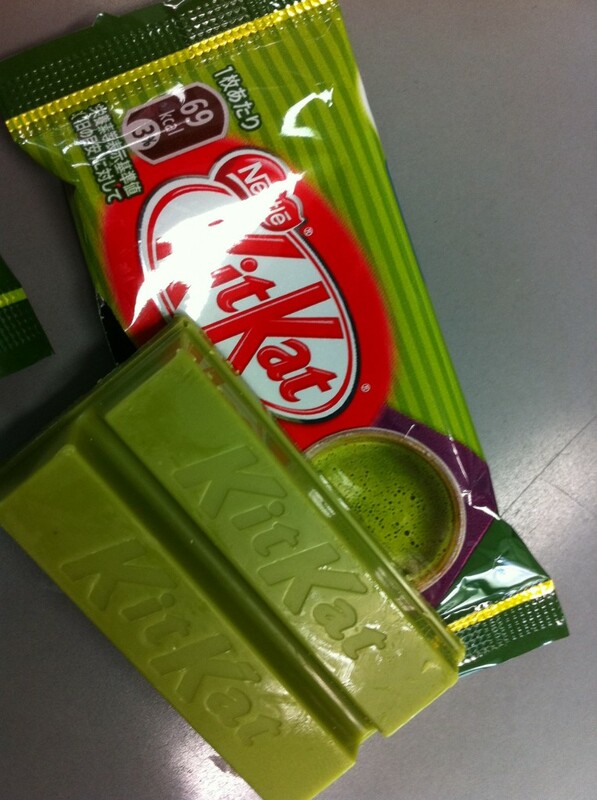 It was still a shock when we saw soy sauce flavoured KitKats in the Tokyo airport. Using our ten dollar voucher from an apology for a flight delay we picked some up. Not everyone liked them, but I thought they tasted like maple syrup. Flavours vary by region, so you can’t get them everywhere. OUr regions specialty is yuzu and chili. 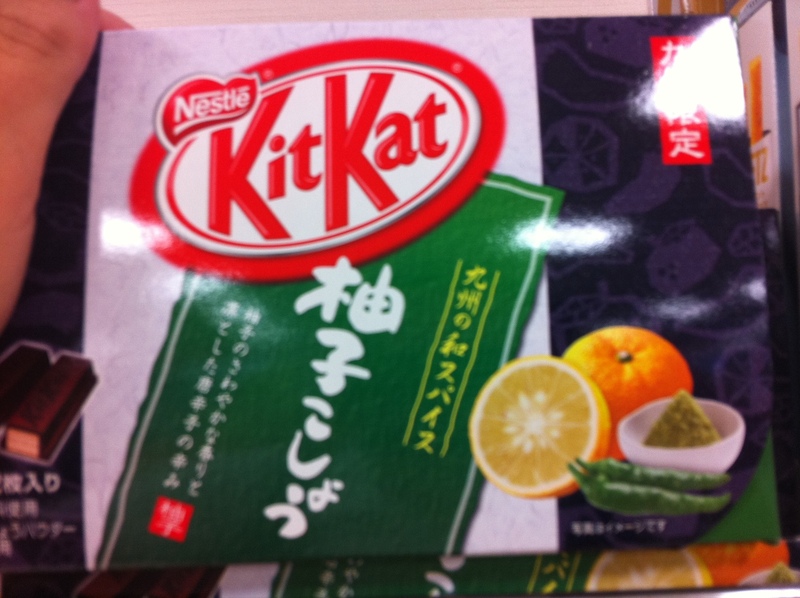 Some other flavours I have tried: citrus, chili, soy sauce, cherry, white and dark chocolate, wasabi, green tea and sweet potato. 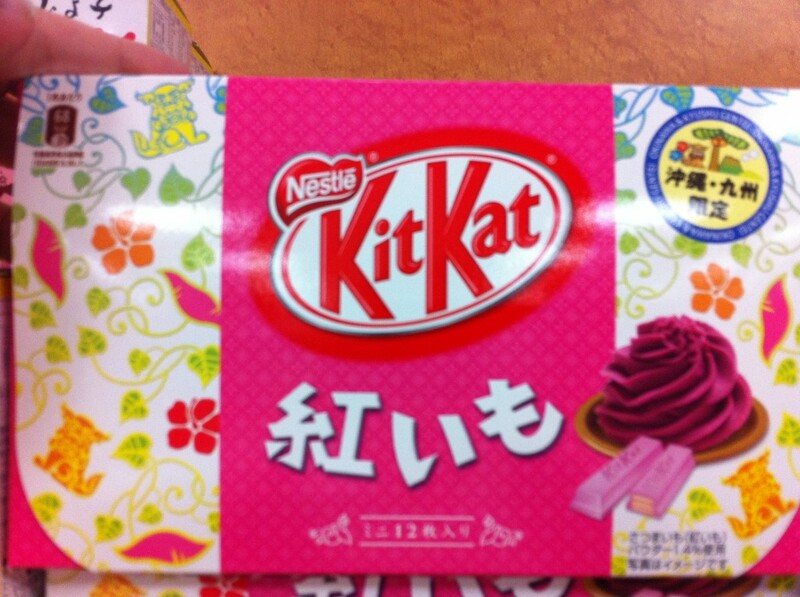 Some flavours I know to exist but have not yet tried include: aloe, blueberry, miso, edamame, plum and custard. Oh Japan. So full of delicious and amazing surprises.